Since the age of twelve, I have known that I wanted to be a professional musician. The sound of brass playing really caught my ear; it was versatile – bold, articulate, sweet, and mournful – and the trombone in classical and jazz contexts possessed all of those qualities. Like all seven year olds, my arms weren’t long enough to reach all seven positions and my father started me on trumpet instead. The plan was to switch to trombone when my arms were longer, but the years went by and the trumpet still fed my interests. I was different than all of my peers in every way you could imagine: I grew up in a big family of seven siblings, raised in The Church of Jesus Christ of Latter-Day Saints (Mormon), spent my out-of-school hours practicing and rehearsing, and fed my soul with the greatest classical and jazz music through recordings and live performances. I got to see how people around me reacted to my expression of these ambitions and the fact that I wanted to be a classical musician was the path of most resistance through the forces of society. I didn’t want to be an athlete. I had no interest in playing pop music in my high school marching band. Doing well in school and staying out of trouble seemed a hell of a lot better than dropping out of school and ending up in prison. I didn’t want to end up working a minimum wage job when I could make $150 for playing an hour wedding. As the forces of society and the environment that I grew up in were pointing me in one direction, my parents were busy lifting every rock they could to find the next opportunity to guide me on a different path. My interest in classical music was so deep that every one of the obstacles for access were overcome by parents that wouldn’t take no for an answer, dozens who pitched in to help where they could, and the dreams of leading a brass section through Mahler’s 5th Symphony. My mother, especially, took advantage of every type of scholarship, had no shame in asking for an opportunity to be provided to me for free, and demanded that I follow through with every piece of advice that my mentors and teachers provided. I’ve asked myself many times over the years: “How did I get here where others haven’t? Where are they?” My life experiences tell me that these forces are real and diversity in our field will continue to inch forward until we develop a system where there are equal opportunities for engagement and the net gets cast much wider… not across the globe, but in our back yards. What if 20 years from now, over 20,000 low-income and minority Philadelphians could articulate their deep appreciation of classical music to their friends, families, and community? What if this was happening in 100 cities across the United States? Do you think two million of these people would have an impact on classical music as we traditionally know it and those who support it? Classical music performed at a high level being appreciated for what it is at its simplest form? Not watered down with television screens behind the orchestra, acrobats in the air above, or a pop star in front. Do you think at least one person who is connected to those two million would understand their passion for classical music too? The word opportunity comes from the Old French word opportun and directly from Latin opportunus ”fit, convenient, suitable, favorable,” from the phrase ob portum veniens ”coming toward a port,” in reference to a favorable wind blowing ships into the harbor, from ob ”to, toward” + portus ”harbor”. No matter the color or background of any major classical musician or supporter, they all received some type of favorable wind that helped them personally or professionally participate and enjoy classical music at its simplest form. To not invest more time, energy, and money into paying that forward to economical and racial minorities goes against why I believe we exist as artists – “one who cultivates one of the fine arts” (the origin of the word). For the past 20+ years, major initiatives in the US like the Sphinx Organization, Atlanta Symphony Talent Development Program, and Project STEP have worked hard to help change the face of American orchestras. In 1994, blacks and latinos accounted for roughly 2.5% of the representation in orchestras in the United States. Today, roughly 4%. As minorities make up the majority in our cities – which primarily support the most professional orchestras – we are putting ourselves at more risk by not providing deeper and wider opportunities for minorities to access, connect, and cultivate their interests and talents in classical music. In Philadelphia, the Greater Philadelphia Cultural Alliance has proven that 1) cultural engagement is highest for Philadelphians 18-34 2) parents are active with engaging their families in arts and cultural activities with the majority of activity in education 3) engagement levels of people of color increased more and continue to be consistently higher than those for whites 4) personal practice activities continue to increase in importance. What are we waiting on? For someone else to do it? 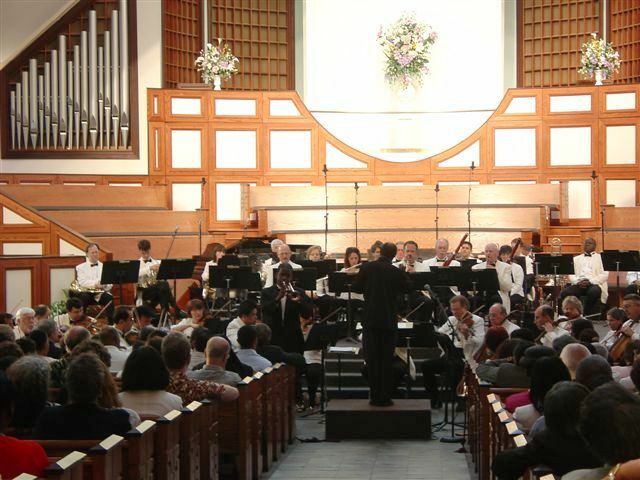 Love the 20-year vision of 20,000 low-income and minority citizens of any U.S. city articulating their deep appreciation of classical music to their friends, families, and community! Count me in. The realization of this vision would contribute to a revolution in how society imagines itself and collaborates beyond music. It’s absolutely do-able with programs like Play On, Philly! and a shared sense of commitment among a network of communities. The stats cited in this blog post from the Greater Philadelphia Cultural Alliance are important and encouraging because they speak to a market demand for cultural arts access. It’s especially exciting to me that these insights upturn status quo assumptions about the cultural engagement of various communities.